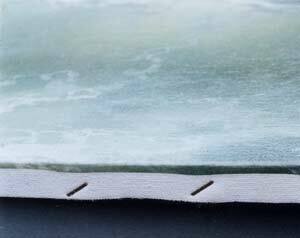 1) Prints are usually on paper, paper mounted to cardboard rather than on canvas, and are sometimes glasssed. 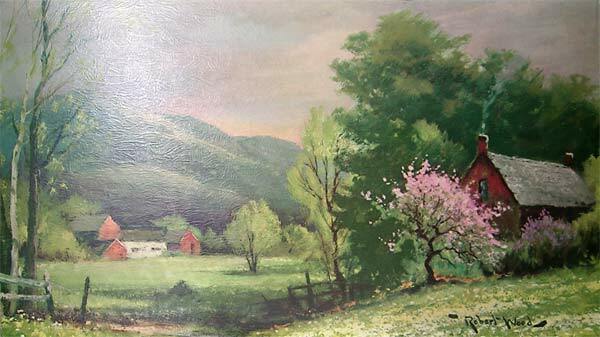 2) Prints or reproductions are often, though not always, sealed with a dustwrapper -- brown craft paper -- or cardboard on the back, whereas originals, painted on canvas, need to breathe. When you turn the image around, then, if you have an original painting you should see stretcher bars and canvas - not cardboard or a paper dustwrapper. 3) In the case of Robert W. Wood, many of the prints were distributed with brass title plates on the frame, with the title -- "October Morn," "Early Spring," or "Grand Teton," for example -- inscribed on them. Few of the originals had these title plates. 4) The prints often have a printed title and state "Winde Fine Prints," "Illinois Molding Company," "Donald Art Company," "International Gallery," "Gellman Fine Prints," "Turner Wall Accessory," or "Windsor Art Products," with an inventory number. If your Robert Wood has one of these company names, it is a print. These distributors sold reproductions, not originals. 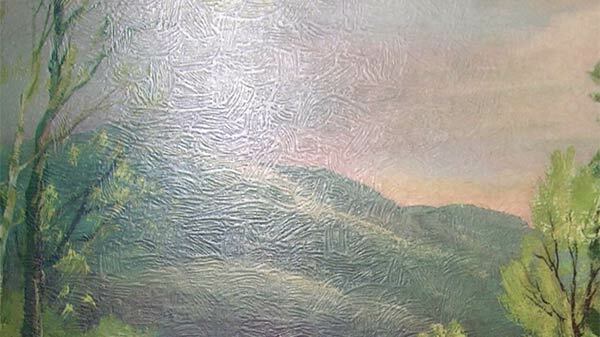 5) Additionally, some of the prints were printed on textured surfaces, making them appear to the amateur eye to be a painting (see below for example), but the texture is consistent throughout the image and does not follow the form as actual brush strokes do. These prints often have "crow-foot" or "hen-scratch" texture and are printed on cardboard, not canvas. 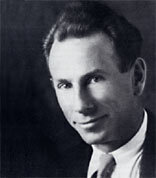 Here is an example of a print on canvas - note the uniform edge of the image and the smooth surface without visible brush strokes. 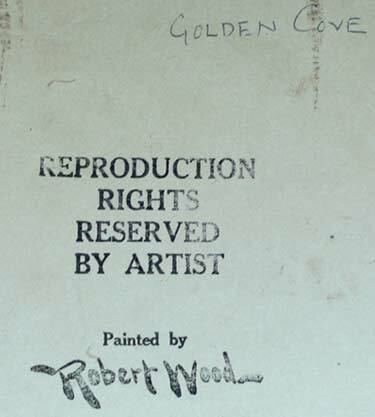 The following are photos of the backs of original Robert Wood paintings, showing the "Reproduction Rights" rubber stamp he used, as well as his hand titles. His works were only occasionally dated. 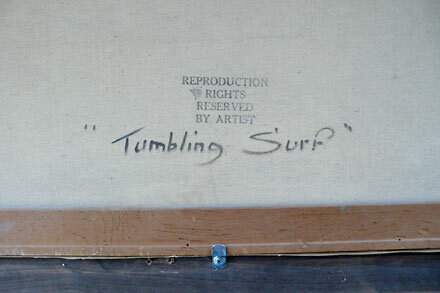 Note: This is before Wood began using his "Reproduction Rights" rubber stamp. This is what a large original Robert Wood painting looks like from the back. 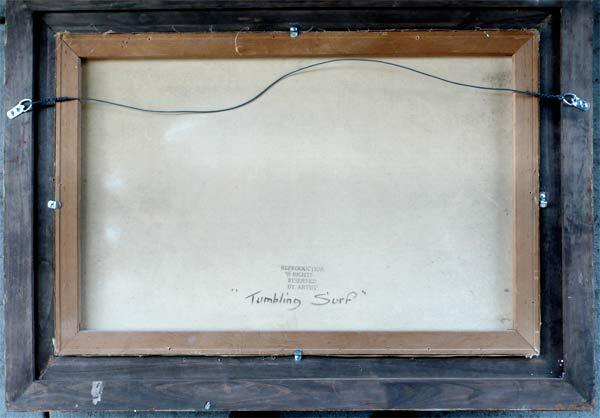 Note that the canvas has been stretched over an expandable wooden frame ("stretcher bars") and that the canvas has been tacked or stapled to the stretcher bars. 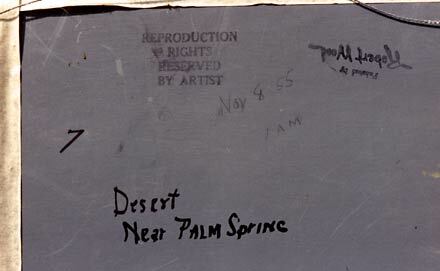 The canvas has been rubber-stamped and titled in Wood's own hand. Larger works from the 1950s - 1970s - his most prolific period - all look much like this. 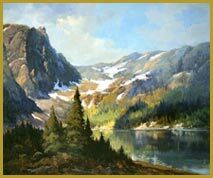 For more information on Robert Wood reproductions, please see our "Reproductions" page here. For a partial list of common reproduction titles, please click the button below. Please note that if you would like to purchase new Robert Wood reproductions, we recommend Art.com or Prints.com. We only deal in original paintings.